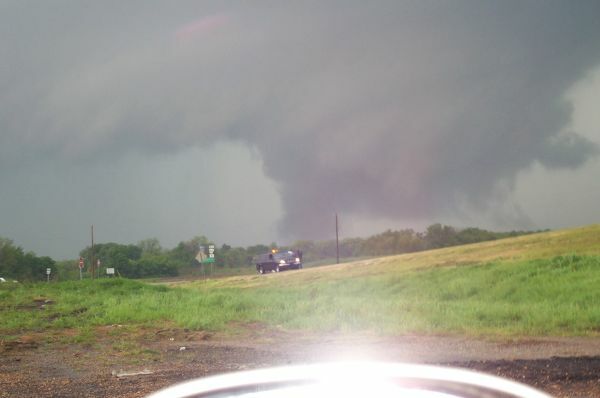 On Friday, May 2, 2008 the National Weather Service issued warnings that set off tornado sirens all over my region. Television meteorologists broadcast the path of the storms. 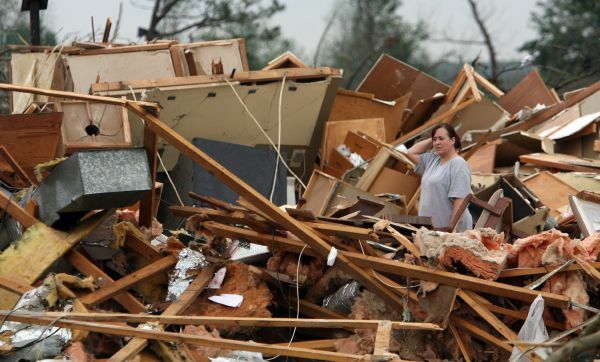 But for many victims, their first warning that severe weather was headed in their direction came from a fast-growing technology: cell phone pictures. 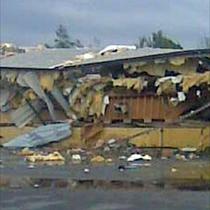 About 20 minutes before an EF3 tornado leveled the Earle Industries warehouse on Highway 64, employees at the home organization business knew a tornado was traveling right toward them and they knew exactly what it looked like. 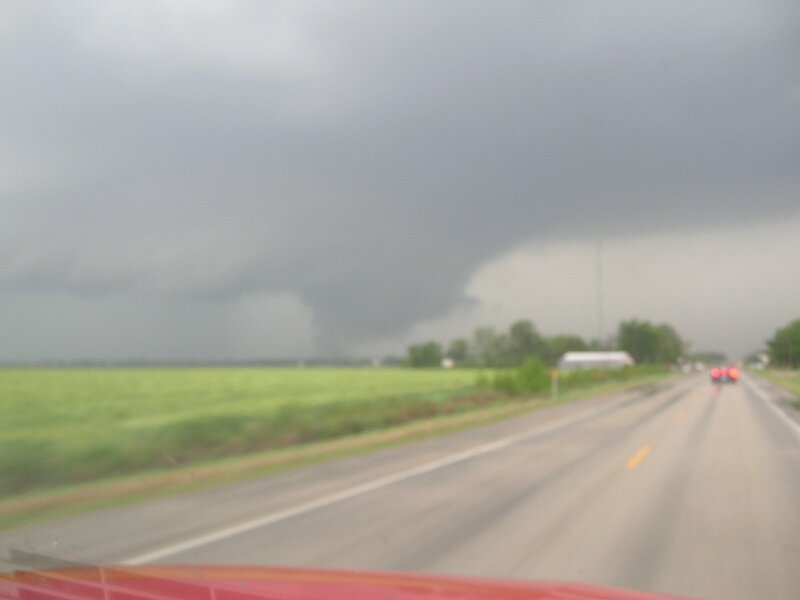 The husband of one of the ladies there works in Wynne (where I live) and he took a picture of the funnel developing in Wynne on his phone and sent it to her. So they knew it was coming from Wynne. 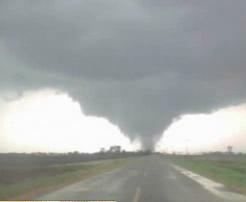 Employee David Taylor recorded images of the menacing funnel cloud baring down on Earle on his own cell phone. So did several of his coworkers. 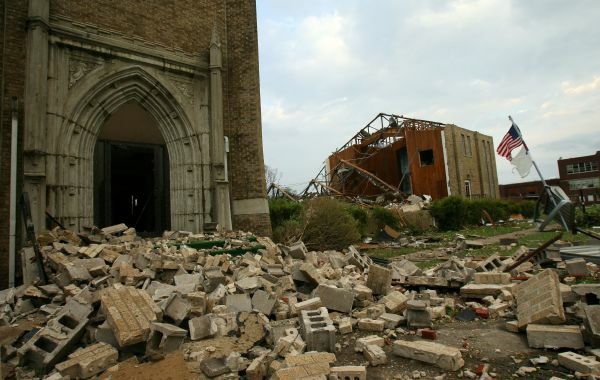 office, the sanctuary of Earle Baptist Church and its gymnasium were in ruins. The streets of Earle were filled with families, now homeless, who seem to wander down the road in a daze, but as they pack up the car to go stay with family or friends, the same sentiment was expressed by all. Somehow, despite all the destruction, there were no fatalities on that day. And that, say these shaken Earle residents, is a miracle. As the storm system traveled across the state of Arkansas, producing more tornadoes, people everywhere used their cell phones to capture the destructive journey. This entry was posted on Monday, May 5th, 2008 at 4:55 am and is filed under Off Beat, Tech. You can follow any responses to this entry through the RSS 2.0 feed. You can leave a response, or trackback from your own site. The average individual would be under the impression that taking the time to produce web sites on this topic of interest is a waste of money….